It's hard to believe it, but retirement is just around the corner. You've put your heart and soul into building your business. Acquired customers steadily over time. Looked after staff who've been with you through thick and thin. But now it's time to look to the future. Who can you trust to look after your business, staff and customers for many more years to come? At Leightons, we know how it feels to care about your business. In fact, we've spent the last 80 years building our business by caring deeply about our customers, our staff and the local communities we operate in. We care that customers are examined professionally and thoroughly - not just processed. We care enough to learn about their lifestyle and advise on changes they could consider to protect their eyesight. And as things change over time, we'll be with them every step of the way. Helping them to live life to the full. If this is close to your ethos and you're looking for a natural successor to continue your business in the manner it was formed, then please feel free to talk to us. 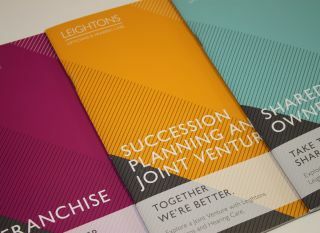 Maybe you wish to consider a succession plan, a joint venture or even if you just want to have a confidential talk through about all options available, we'd love to hear from you. Succession planning needn't be complex and difficult. We try to make things simple and open. And for total peace of mind, we always sign a non-disclosure agreement before any formal financial information changes hands. It's a whole new chapter opening in your life and we'd be happy if we could give you the peace of mind that helps you live it to the full. Want to discuss succession planning in confidence? Then please contact Ryan Leighton or Lindsay Fairhead on 01252 823400.